July 23, 2013 /0 Comments/in Diabetes /by Jenn F.
KSAT News tells the story of a man named Rocco LoBosco who was told he’d lose part or the whole foot and possibly even his leg after diabetic ulcers covered his little toe. However, Dr. Richard Jacoby of the Scottsdale Neuropathy Institute in Scottsdale, Arizona was able to save the man’s feet and restore feeling to the tissue using amniotic fluid from pregnant donors. How Does Amniotic Fluid Help Cure Diabetic Foot Ulcers? “Amniotic fluid seems to meet the criteria to develop new tissue,” said Dr. Jacoby. During the procedure, the amniotic fluid is injected into the nerve during decompression surgery. 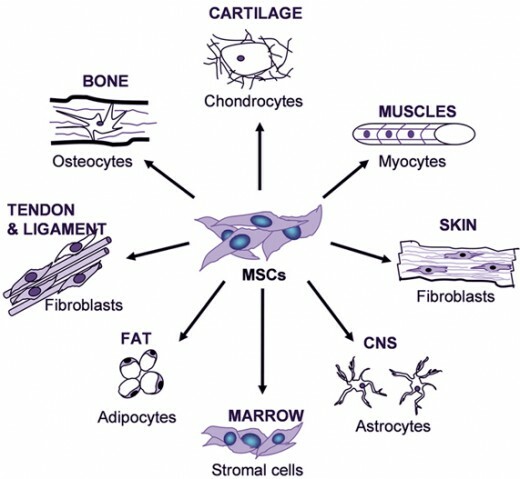 The stem cells stimulate the injured area with essential nutritional materials and mesenchymal stem cells to prompt aggressive healing. In the same way a laser treatment may stimulate bone healing, the amniotic fluid appears to send a strong message to the body to heal. Of the 16 nerves Dr. Jacoby has experimented on, he has managed to restore sensation in all of them. However, he is careful to clarify that amniotic fluid does not cure diabetic neuropathy altogether, but it can use remaining nerve function to clear up the ulceration. According to Dr. Bruce Werber of InMotion Foot & Ankle Specialists, amniotic membrane and fluid has been cryopreserved to be used on anyone at anytime. “We don’t have to have a live birth to collect it, and it can be harvested in very clean, sterile conditions. We inject it in and around the wound, and it enhances the healing,” he said. Recovery started to occur within days of treatment in all 20 of his patients, he notes, and 90 percent of the wounds have closed within the last year. Over the past 18 months, amniotic fluid has been used in conjunction with decompression surgery. This type of surgery is nothing new,with the first surgery performed in 1984. 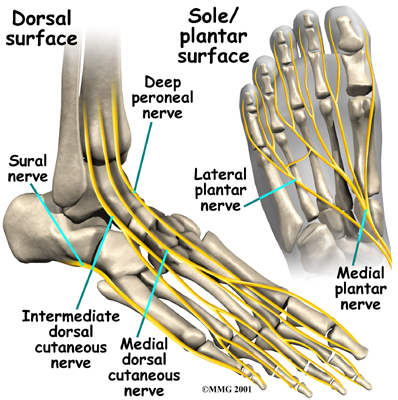 During the procedure, the medial, carpal tunnel and ulnar nerves were relieved of pressure by cutting tight tunnels around the nerves to allow for swelling and decrease pressure from surrounding structures. This procedure is considered minimally invasive, as the surgeon uses specialized surgical instruments and makes a very small incision. Dr. Jacoby says he’s done over 3,000 decompression procedures over the past 13 years and has not had even one amputation out of the group. Complementary Diabetic Foot Wound Treatments Include Sterilization. Individuals who have had their feet treated in such a manner certainly do not want to risk the possibility of re-infection in the future. Therefore, it is imperative that these patients check their feet for cuts, blisters and other injuries on a daily basis. It’s also a wise idea to use a UV shoe sanitizer to kill harmful bacteria and fungus that may collect in the shoes and cause a problem later down the road. Reasons You Should NOT Get Laser Toenail Fungus Treatment Don't Let Beating Toenail Fungus Break Your Bank!